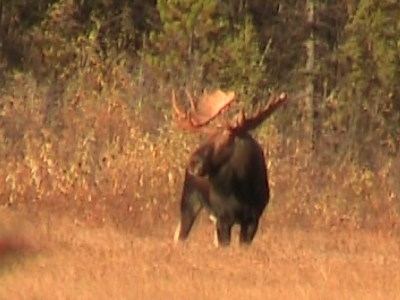 I've never been Moose hunting and I am not a trophy hunter. I am a meat hunter, BUT if I am hunting and the good Lord places a trophy animal in front of me to shoot then I will take the DEER or ELK or MOOSE. To me it's not about the killing a trophy. It's the excitement of the hunt the places you go and the people you meet. My motto is if I'm not going to eat it I'm not going to shoot it. This may sound corkey to most of you but this is how I feel. Yes we are given a chance to take a Great animal then do so but don't make it your goal ever time you go into the woods cause this is stupid. Only take what you are going to eat. Thanks for your opinion about killing a Trophy animal RJ. We appreciate the fact you took the time to share your view. To some hunters, trophy hunting is like a competition, they feel as though they must win... some at any cost.